If you have sudden, severe pain in the back or belly, it's best to seek medical care right away. Abdominal pain is associated with many other conditions, including emergencies like appendicitis and ectopic pregnancy. Painful urination is also a common symptom of a urinary tract infection or an STD. The CT scan here shows a stone blocking the ureter, the duct that empties into the bladder. 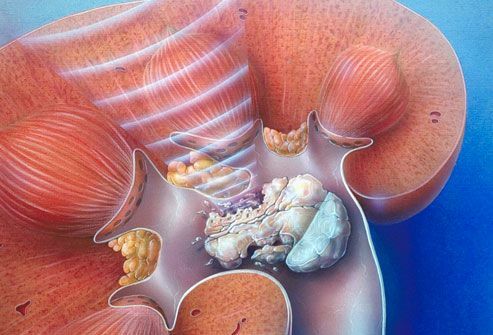 If a kidney stone seems small enough, your doctor may recommend you take pain medicine and wait for the stone to pass out of the body on its own. During this time, your doctor may recommend that you drink enough water and fluids to keep urine clear -- about eight to 10 glasses a day. 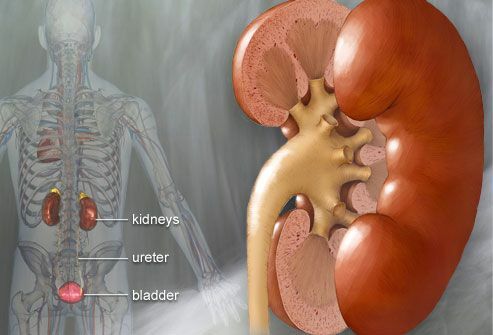 The smaller the kidney stone, the more likely it will pass on its own. If it is smaller than 5 mm (1/5 inch), there is a 90% chance it will pass without further intervention. If the stone is between 5 mm and 10 mm, the odds are 50%. 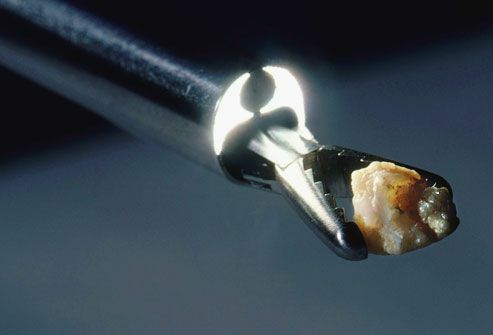 If a stone is too large to pass on its own, several treatment options are available. 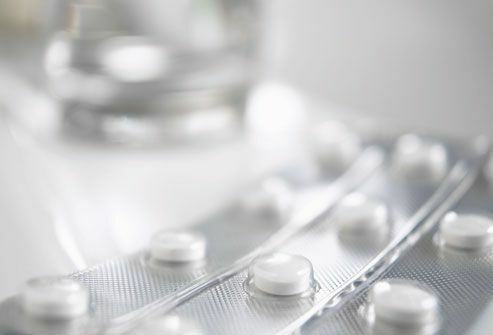 There are prescription medications that can help the body pass a kidney stone. Drugs known as alpha-blockers relax the walls of the ureter. This widens the passages so a stone can fit through more easily. Side effects are generally mild and may include headache or dizziness. Other types of medications can help prevent new stones from forming. The most common medical procedure for treating kidney stones is known as extracorporeal shock wave lithotripsy (ESWL). This therapy uses high-energy shock waves to break a kidney stone into little pieces. The small pieces can then move through the urinary tract more easily. Side effects can include bleeding, bruising, or pain after the procedure. 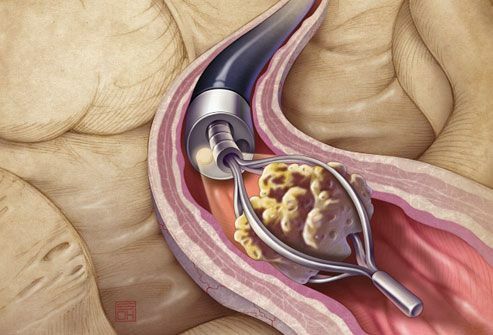 When a stone has made its way out of the kidney and is close to the bladder, the most common procedure is ureteroscopy. A thin tube is passed through the urinary tract to the location of the stone. A surgeon breaks up the stone and removes the fragments through the tube. No incisions are made in the body. For very large stones, surgical procedures may be needed. 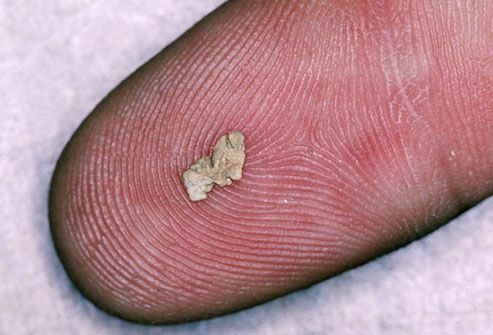 Once a kidney stone has passed or been removed, your doctor may want to know what it's made of. 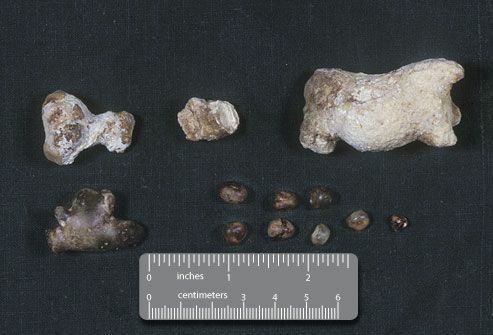 Nearly 80% of kidney stones are calcium-based. 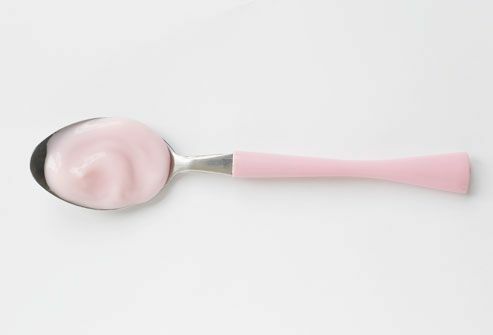 The remainder are made primarily of uric acid, struvite, or cystine. A chemical analysis can determine which type of stone you have. Once you know, you can take steps to prevent new ones from forming in the future. Kidney stones may form when there's a change in the normal balance of the water, salts, and minerals found in urine. Different kinds of changes result in different types of kidney stones. There are many factors that can trigger changes in the urine, ranging from chronic medical conditions to what you eat and drink. 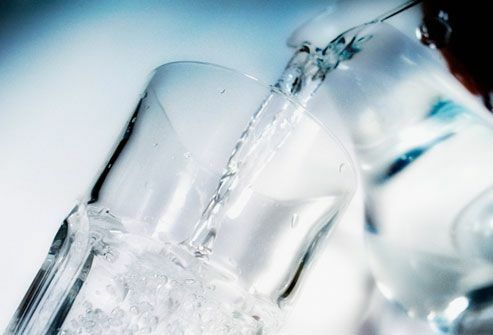 Drinking too little water is the most common cause of kidney stones. Diet also plays an important role. Eating a lot of animal protein, sodium, and high-oxalate foods, such as chocolate or dark green vegetables, can boost the risk for kidney stones in some people. 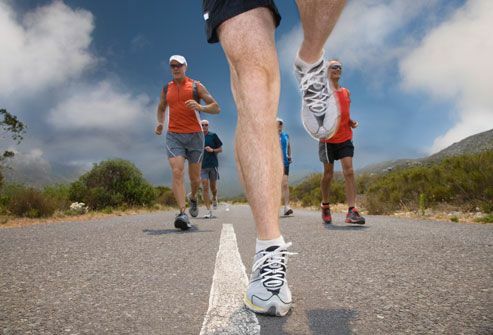 Other risk factors include drinking sweetened beverages, putting on weight, and taking certain medications. 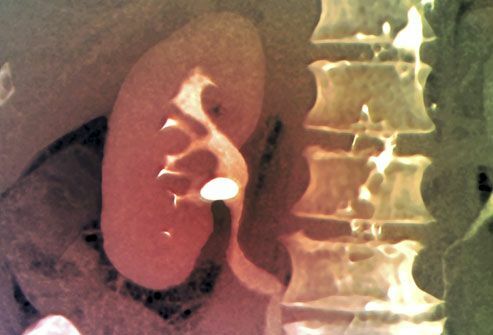 White men have a greater risk for kidney stones than other groups, starting in the 40s. Women see their risk rise in the 50s. And your odds also go up if you have a family history of kidney stones. 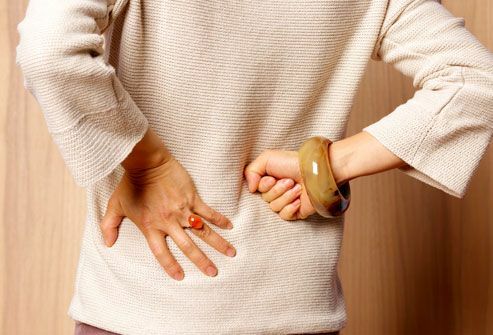 Certain medical conditions can boost the risk -- high blood pressure, gout, urinary tract infections, certain kidney conditions such as polycystic kidney disease -- but treating or controlling these conditions generally helps prevent stone formation. 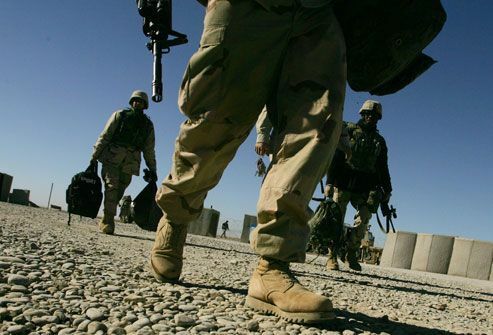 Kidney stones have become a problem for soldiers deployed in desert environments, such as Iraq. Doctors say dehydration is the culprit. Between the hot climate, protective clothing, and a tendency to drink too little water, soldiers are prone to dehydration. This results in urine with high levels of mineral deposits, which can clump together to form stones. 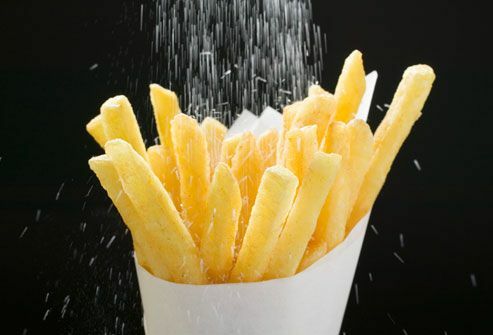 If you had a calcium stone, your doctor may suggest cutting back on salt, which cause the body to dispense more calcium into the urine, as well as animal protein. 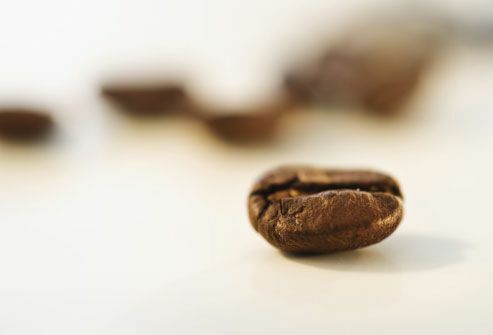 You may also be advised to avoid high-oxalate foods, including chocolate, instant coffee, tea, beans, berries, dark leafy greens, oranges, tofu, and sweet potatoes. The best way to ward off new kidney stones is to drink enough water to keep urine clear. 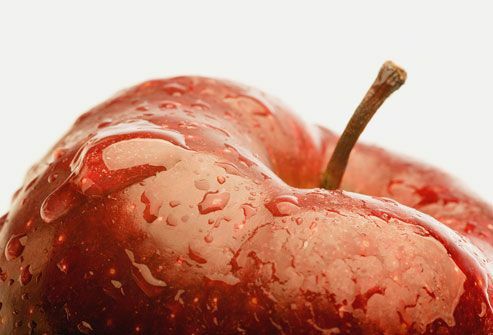 While most kidney stones contain calcium, you may not need to avoid calcium-rich foods. In fact, eating moderate amounts of dairy products and other calcium-rich foods may lower the risk of forming new stones. This does not apply to calcium supplements, which have been linked to kidney stones in some people. Ask your doctor or dietitian what role calcium should play in your diet.